Logology 2: another soon to be classic logo design book that had slipped me by, but one I shall not be without given the utter nightmare of trying to get hold of the ultra hard to find orginal Logology. 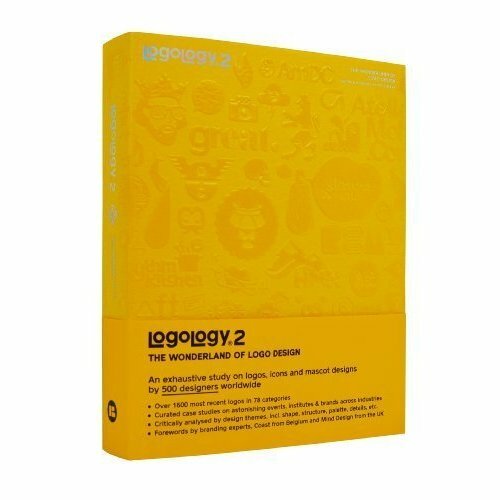 I ended up finding some obscure online shope somewhere in Antartica that had one copy of the first edition of Logology to hand, and if you are able to find a copy it is certainly worth paying a premium for just for the embossed leather cover itself. Seems it came out in 2011 and already Amazon are not selling this direct which leads me to believe it will also soon become hard to come by, so certainly worth getting your copy now. There are a couple of sellers selling it for around £35 plus P&P. Product Description: The look and functions of logos vary over time. First emerged as pictorial names to differenciate producers in the market, logos today speak a much sophisticate language that caters for the world. Whether they draw on symbolism or wordds or letterforms to channel values and promises, keeping the message precise and straightforward is still the key to talk. Following the success of Logology®, Logology®2 put together a picture of unique brand expressions that answer changes and are meant to grow with time.